Whether you’ve watched her as Kelly Kapoor on “The Office,” picked up her book Is Everyone Hanging Out Without Me? (And Other Concerns), or followed her outrageously hilarious tweets on Twitter, there is no denying that Mindy Kaling has a wit and charm that she is ready to share on a larger platform. 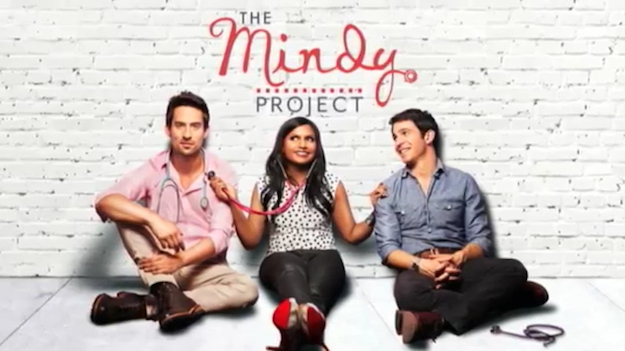 Though the pilot of her new comedy “The Mindy Project” doesn’t debut until Sept. 25, there is a preview available on Hulu. Kaling stars as Mindy Lahiri, a skilled 31-year-old OB/GYN who is a hot mess in her personal life after being dumped by her boyfriend (Bill Hader) for a younger woman and making a scene at their wedding, ultimately leading to her arrest for drunken disorderliness. While her best friend Gwen Grandy (Anna Camp) attempts to help her turn her life around, Mindy continues to fool around with the no-good-for-her Jeremy Reed (Ed Weeks), who also works as a doctor in her practice, and is completely blind to the relationship that could be right under her nose with fellow doctor Danny Castellano (Chris Messina). Despite his criticism for just about everything Mindy does—even telling her to lose 15 pounds after she makes a low-blow about his divorce—it is clear that Danny admires her and we could see a connection brewing in the episodes to come. With far too many quotes from Tom Hanks/Meg Ryan movies, the rom-com aspect of the pilot was a little overdone and won’t have much staying power in terms of being an over-arching theme for the show. It will be interesting to see what will happen in Mindy’s love life without all the clichés and comparisons to the movies. While the pilot wasn’t perfect, Kaling’s rising star and credits as a writer and producer for “The Office” give her enough credibility for people to at least catch a few more episodes. Her charm and good-natured sarcasm could certainly keep them coming back for more.